Increased pressure on the median nerve that crosses the front of your wrist, causing pain and numbness, is a condition known as carpal tunnel syndrome. 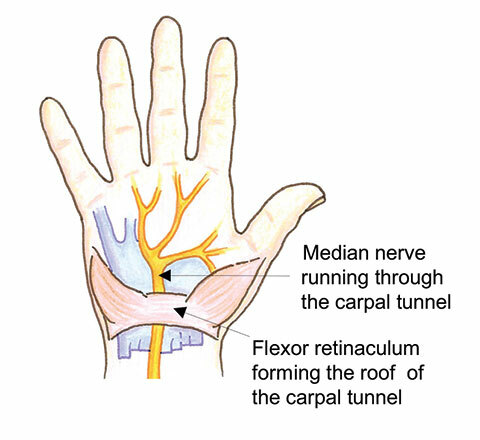 The median nerve shares the narrow tunnel (carpal tunnel) with tendons that move your fingers. A steroid injection close to the carpal tunnel can lessen the numbness or pain and wearing a wrist support may also help. Surgery will relieve any numbness or pain felt in your hand. The surgery involves making a small cut in your palm, then the tight flexor retinaculum ligament (the roof of the carpal tunnel) is cut. 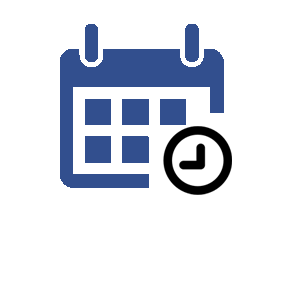 It is possible to perform the twenty minute carpal tunnel release under local anaesthetic. What complications could you experience? General complications include bleeding, infection of the wound, scarring and pain. Specific complications include an aching in the wrist, a return of the numbness or pain felt previously, complex regional pain syndrome (stiffness and loss of use of the hand), scar tenderness or a numbness in your thumb, index and middle fingers. In general, you will be able to go home on the same day. For the first two days following the operation, you should keep your hand raised and bandaged. Before any form of exercise, be sure to seek advice from your consultant. Gently exercising your shoulders, elbows and fingers is recommended to alleviate stiffness; it is advisable to exercise regularly as this will help you return to normal activities more quickly. You may notice that your symptoms continue to improve in the six months following the operation.